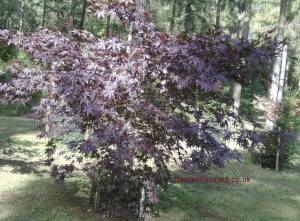 Article and pictures by David Marks. 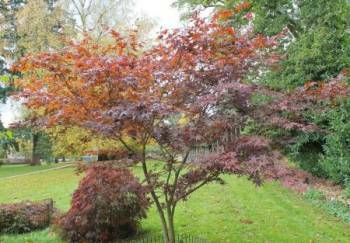 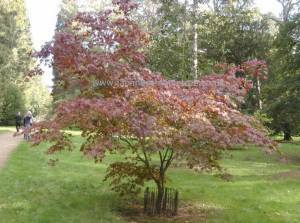 Use the picture gallery below to discover the key attributes of all the common Japanese Maple trees grown in the UK. 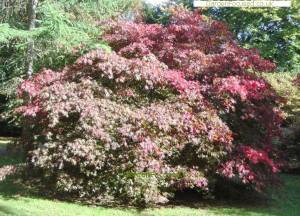 Click any of them for more information and pictures about that particular variety. 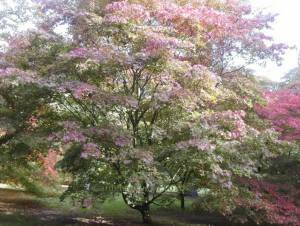 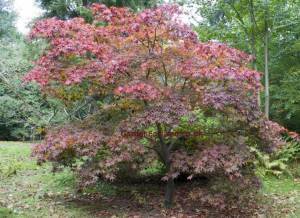 A superb tree for the small to medium sized garden. 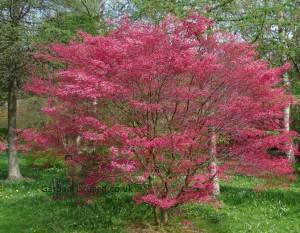 With an eventual size, after 10 years or more, not exceeding 3m / 10ft in height. 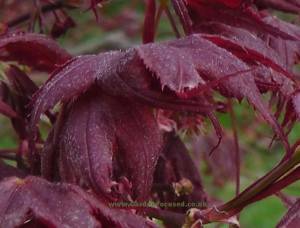 Three stage leaf colour. 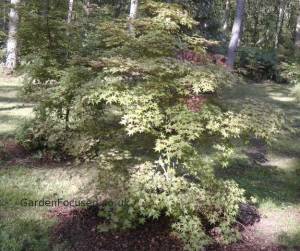 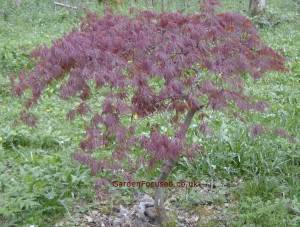 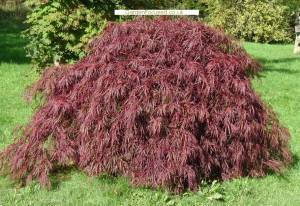 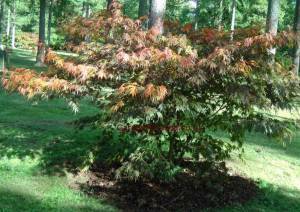 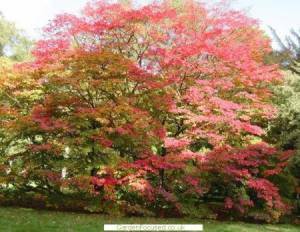 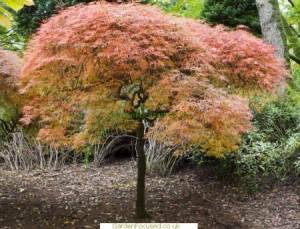 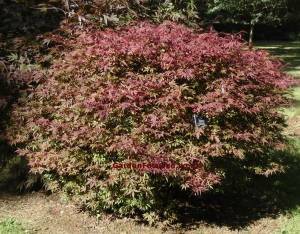 We've tried to find this Japanese maple tree for sale in the UK but so far have failed although it is widely available in the USA. 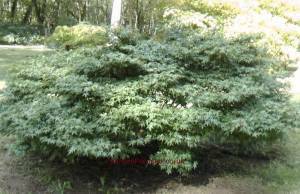 Kiyohime is a dwarf variety although slightly larger than most other dwarf types. 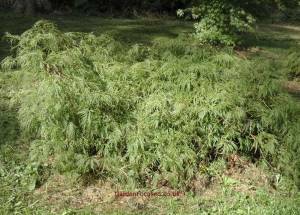 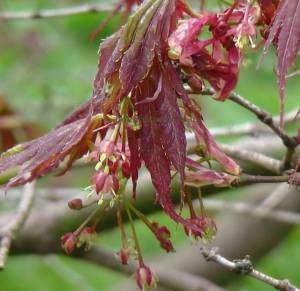 The small leaves are orange fading to green when the first appear in spring, turning greener as the season progresses.